We try our best to be your chosen industrial electrical contractor in Toronto. Our team consists of experienced and skilled electrical personnel who offer specialized industrial electrical packages. Based on our analysis of the electrical services demands in the industrial setups all over Toronto, we have come up with specialized solutions geared to meeting and exceeding the needs of our clientele. Instrumentation servicing- This includes servicing of all industrial electrical instruments. We use the latest technologies to ensure that your equipment is in working order. Power distribution and networking – we ensure that the power networking within your premises is up to the required standards while still giving you maximum service. System integration and process control – whatever systems and processes that you run in your industry, we shall ensure that there is proper electrical integration and process coordination. Technical Quality Assurance – Through our trained staffs, we guarantee you quality work. We have the experience, expertise and tools necessary to handle whatever technical task there is with dedication and commitment. 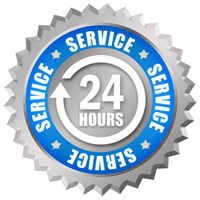 Customer Support – Our services don’t end when we leave your premises. We ensure that we follow up and handle any queries you may have to ensure that you get the best value for your money. You can reach us via phone, email or even pay us a visit. Fully Insured Services – We understand that electrical works are risky not only to your premises but also to our workforce and the general workmanship of our services. This is precisely why our workers and our services are insured comprehensively to minimize the risk of loss. The cost – We offer the most affordable industrial electrical contractor services in Toronto. Our billing system is friendly and we only raise an invoice upon ascertaining that the work has been done and our clients satisfied. We prioritize your needs above everything else that we do.